We don’t do many desserts or puddings in the ‘Ome Made home but one of the things that always goes down well when we do is a nice scone (pronounced “scon”… of course!). 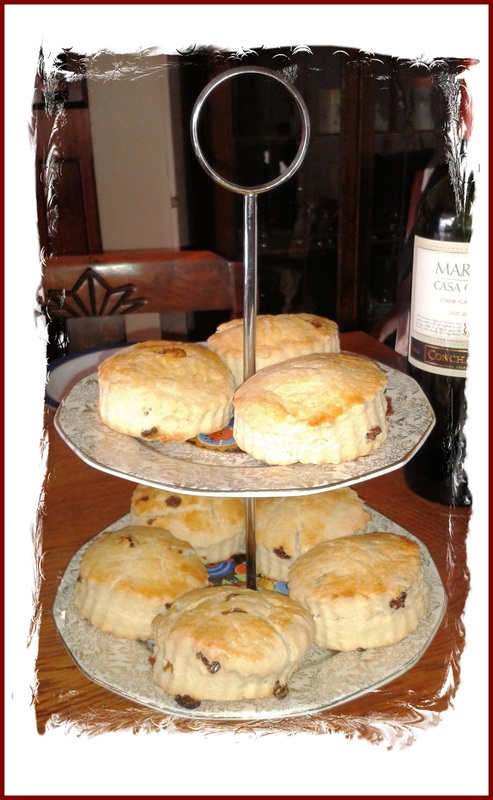 Scones are so easy to make and with a little jam of your choosing and a big fat dollop of clotted or whipped cream they have to be one of my favourite treats. I could eat them forever and a day, which is probably why we don’t have them too often! Before I give you my recipe, lets just get something straight, OK? It’s jam spread on the scone and then your dollop of cream on the jam. Any other way is just wrong… got it! This is a basic recipe for scones. You could add a handful of sultanas or glace cherries if you want. If you want to make your scones with buttermilk just use the same amount as you would milk. Put the flour, baking powder and salt into a large bowl and give a light mix. Roughly dice the butter and rub into the flour until the mixture resembles fine breadcrumbs. Lightly mix in the sugar (now is the time to add any fruit if you are doing). Beat the eggs in a measuring jug add the milk to make the volume up to 300ml mix together with a splash of lemon juice if you have it. Make a well in the dry ingredients and gradually add your milk and egg mixture, bringing the whole lot together until you have a slightly sticky dough (if it’s too sticky add a little more flour). Turn the dough out onto a lightly floured board and give a quick knead. Split the dough in half and roll one lot out to a thickness of about 2cm. Cut out the scones with whatever shaped/size cutter you want and place (turn over so the bottom of the scone becomes the top) on a greased baking sheet. Repeat with the second lot of dough. Bring any leftover dough back together, roll out and cut again. Using a dry pastry brush, brush off any excess flour on the tops of your scones and then egg wash them. 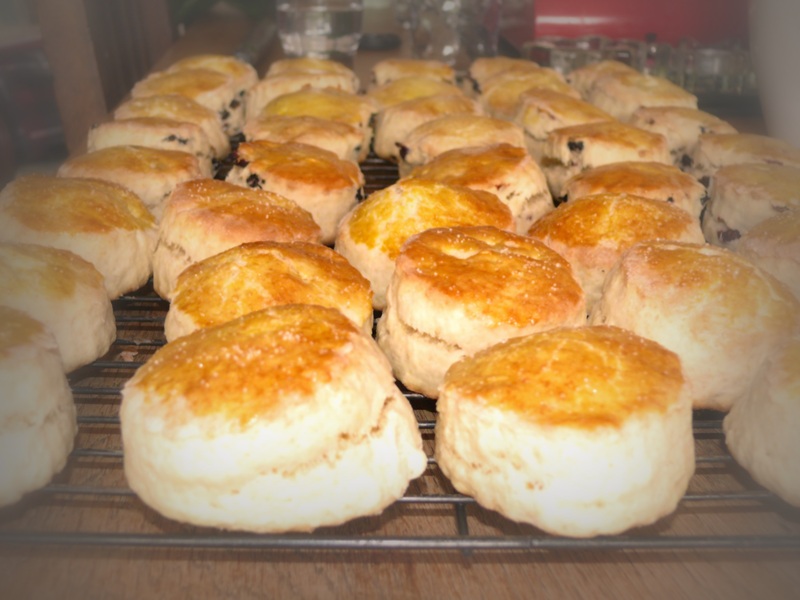 Place the scones in a preheated oven at 220°C/gas mark 7 for 10 – 15 minutes. Once cooked remove from the oven and baking tray onto a wire rack to cool. Eat as fresh as possible and freeze any leftover (yeah right!) for another time.